One winter holiday down and many parties, hugs, long drives and lots of food to go! Believe it or not, I'm totally jealous of the snow, the bundling up, the gatherings, and even the east coast holiday hustle and bustle (FOMO). While the holidays create some of the most exciting experiences of the year, they can also be stressful. If we are proactive in our self care though, we can prevent depletion and over exertion to stay balanced and vibrant. In Ayurveda, winter season is associated with the elements of air and ether (aka Vata) which mark similar qualities that present themselves during this time of year in many regions. Vata energy is cold, dry, rough, light, clear, and moving. Enjoy warming fresh foods that are well cooked. Try to avoid cold, uncooked or dry foods (especially salads, raw fruits and veg). Soups and stews are better, and we naturally crave heartier meals right now anyway. Drink lots of warming liquids like hot water and herbal teas to prevent dehydration. You can prepare a fresh ginger tea by placing a teaspoon of fresh grated ginger your thermos with hot water. Avoid iced water, as it dampens your digestive fire! Take a break from electronics. It can just be a few hours. Try the first hour of your day phone free and shut down your screens an hour before bed. You will get better sleep, feel more rested and refreshed. Practice self love! Try abhyanga, a self oil massage. Sesame is a great heating oil to apply. In Sanskrit, the word sneha means oil, it also means LOVE - isn't that cute? Go easy on yourself. Tone down your yoga practice and relax with restorative or gentle stretching to counter the constant bustle of the holidays. These practices are simple and they make a huge difference. I find when I make these tiny changes, I have better digestion, feel more relaxed and grounded and am way more equipped to handle stress. 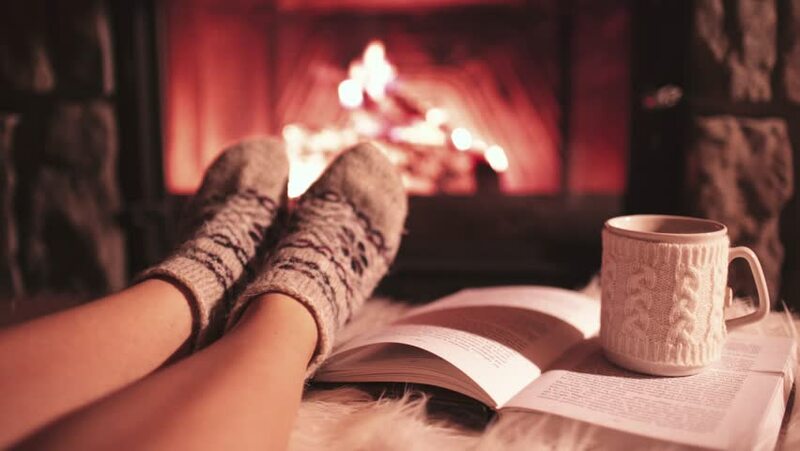 This season is about warmth and connection, so pull up your knee high socks, make some cinnamon tea, slather some oil on and love yourself and each other. Channel your inner Edward Sharp, people. What does home mean for you? Is it hearing your kids run down the stairs in the morning? Or watching your dog wag and greet you excitedly as you open your door? Perhaps you find home with another person, or a moment of solitude. Maybe home is "where you park it"… or it could be something totally different. I had one ‘home’ growing up. I never moved and I never thought much about what the word meant. During and after college I lived in many homes and had a pretty vast array of ideas of what home meant for me. I used to think it meant to have everything in it’s place, only then I felt home. I used to think it meant having a plan. I thought 'home' was the final sign that you were a grown up and there was probably a picket fence in that vision too. Speaking of family and friends, there is a definite element of home and safety anywhere you have your tribe. This cocoon of familiarity can make any place feel like it’s yours, but as any traveler knows, you can have a hundreds of families in hundreds of places, it’s up to you to create it. I’ve come to realize that I don’t need a thousand friends -just a few will do- but community is an important part of feeling in your element. I met my Little Corn family pretty quickly and, yes, they make this place feel like I belong. (Hi Pinto! Hi Romain! What’s up Lighthouse and FUNK Yoga!) I feel grateful to have not only my supportive family back home in Connecticut, but also “Kula”, as we say in Sanskrit, speckled all over the states and now the world. I used to feel uneasy when I was out of my comfort space and away from my people, but now I know it’s possible to make new connections wherever I go. If you’re in a place for only a little while, it can still be done! Taking a yoga class is a great way to meet people, join a group activity or just give someone a compliment. The desire for connection is universal. We all want to see and be seen. We’re in this together. I think it’s necessary to have ways to find ‘home’ both with others and on your own. So, the first is a great tool, however, not always what we’re looking for in the moment. So, my go to way to get grounded no matter what? I just returned back from the US and Europe, where we were moving location every few days 6 weeks. In Ayurveda, Dinacharya, means daily routine. It's a huge stabilizer for me to find a foundation even in a place I don't know. If I can roll out my mat, ( honestly, when I'm traveling I do my practice straight on the floor) or take a few moments to sit by myself, I’m home. Sometimes it’s a run before anyone else is awake. Sometimes it’s a cup of coffee and a few pages of my book. Truthfully, I don’t think it matters too much what it is, but it's gift to yourself. It is self care. 'Home' to me is feeling rooted in my body and ready to tackle all my thoughts and tasks for the day. Creating this space for myself is essential. It’s easy to bring a sense of familiarity wherever you are if you have a common thread each day. Something to seek refuge in, to turn to. To feel at home, you’ve got to have your base needs met (have your root chakra balanced if you’re into that kind of thing) So yes, food, water, shelter, but maybe a couple of other things too… what are yours? These are mine. The things that make you feel at home are personal. Sometimes its music, other’s silence. It might be catching up on the news while you’re in the bathroom, I don’t know, but I recommend that you find out. Because when you can feel at home wherever you are, the world opens up, opportunities become endless, and you’ll always be free and at ease. Good digestion is the key to health. According to Ayurveda and many other medicinal practices this is true, but we don't need a doctorate to notice and feel the negative affects of poor digestion. It impacts our mood, our sleep, our energy, and even how we interact with the people around us. (bad digestion = cranky) What if I told you there are EASY ways to unlock great digestion right now? Oh and they're totally free and you don't need to change your diet at all. Yes, what we eat is important but so is HOW we eat it. How we chose to take in our nutrients is a crucial component in our overall health and wellness. No single diet is right for everyone, and that's one of the reasons why I love Ayurveda, it's meant to mold for each individual (that means YOU). So, if you like eating bread, enjoy cooked foods and even dairy; before you throw away your stove in the name of Raw Veganism, (if that's your thing, more power to ya!) or swear off swear off gluten forever...Try these 3 SIMPLE tips to enjoy your food more and feel awesome. Ever lose your appetite when you're in an argument? What about when other people are arguing at the table? Stress of any kind? We may be stressing our digestive system while eating and not even know by watching the news or a violent movie, sending our nervous system into a flurry (fight or flight). Stress is an involuntary response, when we are stressed our nervous system goes into flight or flight, blood goes to the brain and other major muscles and away from our digestive process. Stress can also change our gut flora, and cause irritation in the large intestine. When we relax, we drop into our parasympathetic nervous system, which is responsible for digestion and repair. Our heart rate slows, our sphincter muscles relax, and we can change our food into energy. So why should I eat in good company? Our gut is often referred to as our "second brain", when we are over stimulated or uncomfortable, our digestive system will get the message, panic, and move us into the sympathetic nervous system. When we feel at ease, enjoying time with loved ones, or having a nice relaxed conversation with friends, we can remain in our relax response and digest our food properly, to avoid indigestion, bloating, or build up of toxins. So enjoy some solo time with your plate (uninvite that annoying third wheel television) and calmly take in your meal, or grab some friends and enjoy some quality time and awesome digestion. Food is anything we take in through any of our sense organs, not just the mouth. So let your digestive juices start flowing early, by preparing your meals yourself, enjoy the feeling of cutting up your vegetables and connect with you food. Absorb the delicious aroma, listen to the oil sizzling in the pan, and gaze at all the colors and shapes on your plate before you dig in. If you're up for it, induldge in a silent meal so you can more deeply practice this mindful eating technique and appreciate everything about your food. Once you're eating, take your time so you can chew your food slowly, taste each flavor, and feel each texture, by putting your fork down in between bites. Sip small amounts of warm water during your meal, instead of gulping down tons of ice water. Hydrate throughout the day with warm water to keep your digestive fire burning strong. After you're finished, take a moment before running off to do the dishes, or to your next appointment. When we eat mindfully we nourish the body more fully by feeding all of our senses. We will be less likely to over eat, feel more satisfied overall, and allow the stomach space to process and digest our foods. OK, THIS IS MY FAVORITE. You know the feeling after a big meal when you just want to unbutton your pants and lay down? Well, you're not too far off. Ayurvedic practices recommend taking time to lay down on your left side after your meal. A few minutes will do the trick, I suggest 10 minutes to avoid feeling too sluggish. Laying on the left side allows the stomach and the pancreas to hang naturally and food to move and empty in a more relaxed fashion. Have extra time? Take a 15 minute walk after your left side lie, to feel more energized. Have to get back to work right after lunch? Try a left side lean instead! You can even slide to the side from the comfort of your desk. Try it, you'll like it.